Blushing is the result of embarrassment. It is also a cause of embarrassment. That sounds like a contradiction but for those people who blush easily it is true. The first sense of blushing probably starts from something quite innocent. Triggers can be a glance, just catching someone’s eye, a word even a thought. All sorts of things can start the process. The next thing that happens is you become aware of the temperature of your face as it gets hotter. The hotter it gets the more you feel that other people could be noticing. That is the time to head for the hole in the ground. Hey blushing is so easy. It was girls; then women; then the alcohol to see me through; then speaking in public; then teachings; then finally just anything that involved people who I thought were superior to me. As a youngster I could blush for the simplest reason. Not everywhere and not all the time. With my friends it was never a problem. On reflection I was something of a leader amongst my childhood friends. That sense of being in charge did not allow my blushing or shyness to happen. Two ways of behaving that produced a different outcome depending upon the situation. Yes I could feel uncomfortable in any situation I was aware of it but not all! There fortunately were times I was totally at ease. Then I learned how to cope with being me! Crazy really as my parents and grandparents were performers. Mum and Dad at 86 years old still are. They put themselves out in front of people and just got on with it, singing and telling stories to entertain the audience. 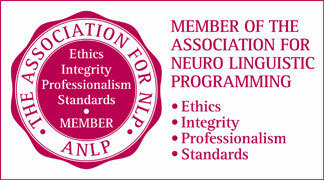 The biggest change for me came as I was doing my first NLP training. Clare, one of my trainers, noticed that my face had coloured during an exercise. I was unaware of the change as I was so involved in the exercise. Clare did a fabulous reframe for me. “Look!” she said, “Something is going on inside Ian’s head” This caused the whole class to notice. For the first time in my life I really understood that blushing, or colouring up, was the result of something happening in my head. Thoughts had caused the blood to flow up to my head to help my mind work. It was a totally different experience. That one intervention changed the whole way I saw and felt about the way I blushed. It was a facet of how my mind was working. The blood flowed to help me think. I was not aware of the action at the time it was a normal thing to happen. Everyone does it at some time or other. Since that point I know that I still blush occasionally but it is no big thing. Funnily it is the opposite reaction to a phobia that I had. From being very young I would pass out when I cut myself badly. As with many of these things it was accepted by the family and treated as just a fact of life. Isn’t it interesting that my body reacted in two opposite ways because my subconscious, autonomic nervous system worked that way. What I am coming back to is that both actions were learned patterns of behaviour. Both patterns were changeable. If you can respond to your triggers for blushing then you can respond to new triggers to do something different. What could they be? Before we move on one little last story. I was in one of my favourite bookshops, just after Christmas. Guess what I was doing, one of my favourite things, you guessed, looking at books. There I was looking at African art, specifically body decoration and face paint. I have a fascination for masks and body art goes along with it. I had just replaced a very large photo book on a high shelf when a woman somewhat younger than me reached up for it. As she began to open it I warned her that it was heavy and that I had nearly dropped it when I looked at it. It was really designed to sit on a table to be looked at. She did exactly the same as myself opened it and it over balanced. Together we stopped it from falling. We began talking about the subject about I told her about my interest in African art and masks. I noticed that she had begun to, very attractively, colour up. You know how ladies like to wear, or did like to wear, blusher to give some colour to their cheeks. It made her look even more attractive to me. So I blushed lightly in sympathy. What do you think was happening in this situation? Then she left to continue her book browsing. Have you ever read Jane Austen?